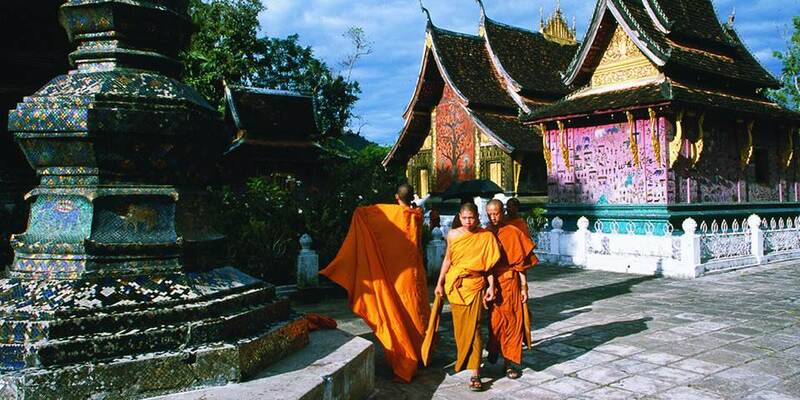 The UNESCO World Heritage site of Luang Prabang in Laos is a colourful town nestled in a valley at the confluence of the Mekong and Khan Rivers. Scarlet flowers on the trees, saffron robes of the monks, gleaming gold of the temples, and the heady perfume of frangipani all mingle to create an assault on the senses. According to legend the Buddha smiled when he rested here for a day during his journey, prophesying that it would one day be a rich and powerful capital. 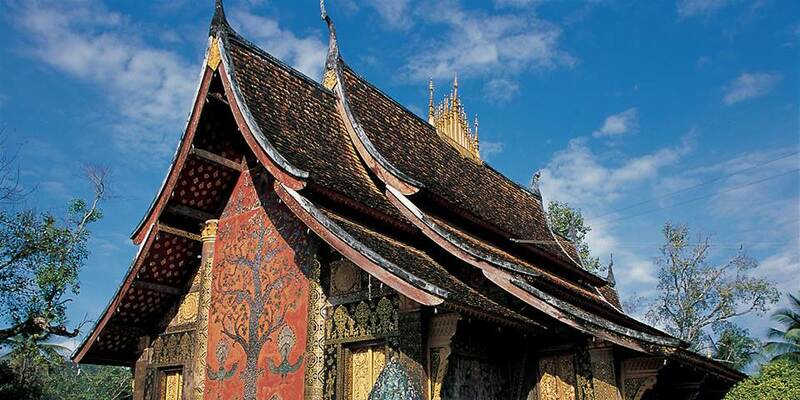 Today Luang Prabang is an outstanding example of the fusion of traditional architecture and that of the Colonial influences of the 19th and 20th centuries. Its beautiful well preserved townscape is just perfect for exploring by bicycle or on foot, with few obstacles other than groups of chattering monks as they make their way to and from prayer.